Does MBA from Biztek have any worth in job market? @ZoRRo my advise for you is to find some better if you can because I never heard much of Biztek's MBA at all. There is no special acceptance of Open University's MBA so you better find another option if you got one. @Zulkifal: I don't have exact feedback for this degree but Overall superior's ratings are not very high in job market so the name of Superior University will not help you, you'll have to prove yourself with your own capabilities. I have done BS-textile Engineering from University of Management & Technology,Lahore and MBA-Marketing form University of Sargodha, Sargodha. Please tell the market value of above mentioned combination of degrees. For me you got the most demanded combination of degrees. And I hope you will get good response from market. NTU's MBA is just started and its no where, but yes it is recognized. Sir how about a BBA or MBA from FAST LAHORE? any views on dat? FAST Lahore's standards are very good. I recommend you BBA or MBA from there. @Ibrahim Yes UET's MBA is far better than Superior or Pak Aims. And its less costly as well. which institute will be better for me for EMBA IOBM or SZABIST? I'm looking forward to do MBA as my last degree is BS Management Hons with marketing majors. Should I go for EMBA from LSE or full MBA? You should go for full MBA. And I think UET is better than GCU and GCU is better than UCP. I want to join MBA executive, please guide me which is best institute for me where i enhance my professional skills. @Syed Karam: Pak Aims is much better. I AM DOING MBA FINANCE FROM MAJU IS IT GOOD FOR MY PROFESSIONAL CARRER AND IS THE ANY MARKET VALUE OF MAJU? Wat abt the international value of degree in MBA from University of Karachi? If you had to rank the BBA of NUST, LSE and FAST, how would you rank it? I mean which degree would be more valuable in the market. Studies wise NUST is best among these three. But in market LSE got the edge and then comes the NUST. Shahzaib what do you say about Karachi Business School opened recently. Also, please shed on some light on international recognition of Regular or Exec. MBA from IBA say in Middle East. Is it recognised? and are regular or Exec. MBA worth the same? One more important question for which i havent got the answer as yet, is whether any foreign affiliation of any local universty or any option to study online or distance MBA from foreign universty staying in Pakistan? Basit, I haven't heard about Karachi Business School yet so no feedback on that. 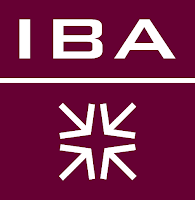 Yes, there is a lot of recognition of IBA's MBA graduates both localy and internationally. Yes, Comsats is offering dual degree programs in affiliation with Lancaster University. sir which uni's soft engg is better? Kindly help me in selecting the Best place for studying MBA(1.5) between International islamic UV and SZABIST ? Iam selected in both. kindly guide me. Straight away go for SZABIST. Thats the best option for you. GCU is better among these three. Then comes UCP. what about mba from iqra university? what is better choice iqra, karachi university, szabist. Iqra Univeristy is better for MBA among these three. I heard a lot of good things about Szabist's ISB campus but not sure about Karachi. 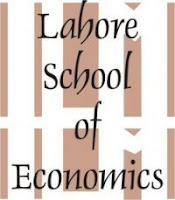 What is the worth of MBA from Imperial College of Business Studies, Lahore? what abt MBA from Virtual University? Whats its ranking? Sir kindly comment upon the market value of MBA degree from virtual university. hamdard and Pak-KIET BBA is valuable or not...!!!! Does MBA from LSE have any worth in job market? I have done my 3.5 years MBA from UCP lahore and wants to go for MS Management as LUMS and IBA are not offering this program and GCU has gone through admission drill so which University i should go for doing MS which has more market value. any one can tell me the full fee of bba and mba from IBA.........??????? What about the Local and international value of degree in MBA from University of Karachi? Secondly, As special advantage for Full MBA over EMBA when it comes to jobs later ? What do you prefer or consult an Biomedical Engineer to do MBA with majors subjects as follows please guide me or anyone could help me? Please do consult me with that problem I am looking forward to submit my application to IQRA UNIVERSITY OR SZABIST OR CBM KARACHI SCHOOLS AND COLLEGES FOR BUSINESS. - PREFERENCE/CONSULTANCY FOR PROMINENT COLLEGE WOULD BE PLUS POINT FOR ME IN BETWEEN THOSE. Sir, how about NUST BBA or MBA?? Does it help to get a very good job? Karachi School for Business & Leadership (KSBL) would be new name for many of us, but it is doing a really great job, in fact it is a notch above LUMS or any other business school in Pakistan so far. just see the faculty they have, really beyond comparing!! Shahzaib Siddiq is pretending to be an expert here but he doesn't know jack about universities. Don't take his advice. He doesn't know what he's talking about. what is the worth of EMBA from Karachi University? Sir recently i did BBA (Finance). Now, should i do MBA or ACMA??? If MBA,,,,, then from which university in Islamabad??? which university is better for MBA after BBA? IS Sukkur IBA having any market value which is ranked 3rd according to HEC ranking ????????????????? Business Part includes everything that explains why you are doing what you have been asked to do. What advantage it has to the organisation as a whole? Was it a cost effective measure? How much cost is it saving for the organisation? is NUML university has any worth in markt for MBA??? and plz tell in whch cateogeri i should do MBA?? is the degree of MBA from Bahria Uni ISb has some worth? Sir i wanna do bba and mba from iqra main campus karachi, because i can not choose any other uni because of my % 47 ! Iqra is better option or you recommend me any good uni sir. ib&m uet or comsats lahore?? There is a LOT of group work during my MBA classes which some shy people are not fan of. After working all day, the last thing they want is to meet for extra hours outside of class time, but I like this. Sir I am selected in Numl isb for BBS and in Iqra uni isb for MBA 90 tell which is best for me? is the worth of mba from ncba&e in market? What is the worth of Hailey college of banking and Finance?? For BBA? Does it have any value in market? As it is not in any ranking..
Iam getting admission in bba..
What's about UCP lahore MBA please tell me?